Your style is amazing!! Now following! I have to admit, you're totally one of my favorite gals to follow on Instagram! Love the photos! They're so whimsical and cute! Haha, I'm loving this insta-darbs! You are so adorable! Love the sparkly shoes! Those caught my eye right away! Those blue heels are amazing!! And I have yet to hop on the instagram bandwagon. I know crazy, what kinda blogger am I???? 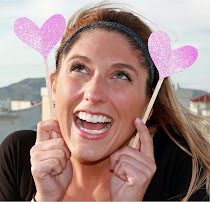 How did I just find your blog - it's so darn cute! I love finding other fabulous Midwestern bloggers to love! cute images. i will definitely follow and this inspires me to really use Instagram more often. My username is brandysaldana. I'll make sure to follow your shenanigans too! Umm... do you wear a size 7 because I want to come steal your shoes!!! ALL OF THEM! Love it Darby, Ill have to find out on there! You can find me too! Thanks for sharing us bits & pieces of your fab life Darby!!!! awesome!! i'll be following on instagram for sure!! i'm phiphi999!